The new Maserati Ghibli redefines luxury in a sedan that’s built to ride like a sports car. This new Maserati equips Chicago drivers near Bartlett with a vehicle that’s as bold as it is unique to most others. With available AWD and a 3L twin-turbocharged V6 engine built by Ferrari, each thrilling ride in this Maserati sedan keeps commutes interesting. 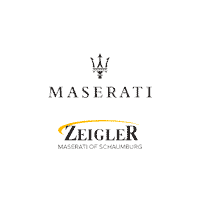 Come down to Zeigler Maserati of Schaumburg today to experience the distinction of the Ghibli for yourself. New Price! Gray 2019 Maserati Ghibli S Q4 We proudly serve Schaumburg, Chicago, Elgin, Hoffman Estates, Crystal Lake and Arlington Heights. We look forward to making your experience at Zeigler Chrysler Dodge Jeep is as easy and enjoyable as driving your new car will be! If you have any questions, don't hesitate to contact us online, or stop by our dealership today! Black 2019 Maserati Ghibli S Q4 We proudly serve Schaumburg, Chicago, Elgin, Hoffman Estates, Crystal Lake and Arlington Heights. We look forward to making your experience at Zeigler Chrysler Dodge Jeep is as easy and enjoyable as driving your new car will be! If you have any questions, don't hesitate to contact us online, or stop by our dealership today! New Price! Black 2019 Maserati Ghibli S Q4 GranSport We proudly serve Schaumburg, Chicago, Elgin, Hoffman Estates, Crystal Lake and Arlington Heights. We look forward to making your experience at Zeigler Chrysler Dodge Jeep is as easy and enjoyable as driving your new car will be! If you have any questions, don't hesitate to contact us online, or stop by our dealership today! Black 2019 Maserati Ghibli S Q4 GranSport We proudly serve Schaumburg, Chicago, Elgin, Hoffman Estates, Crystal Lake and Arlington Heights. We look forward to making your experience at Zeigler Chrysler Dodge Jeep is as easy and enjoyable as driving your new car will be! If you have any questions, don't hesitate to contact us online, or stop by our dealership today! The Ghibli not only offers stellar performance and features, but the interior flaunts incredible comfort within the cabin with available Zegna silk upholstery and wood trim accents. This sumptuous addition to the Maserati model lineup is in Schaumburg waiting for a test drive today. After you’ve reviewed our inventory online, come down to Zeigler Maserati of Schaumburg to introduce yourself to the Ghibli. Apply for financing before you come to get one step closer to this formidable sedan, and contact us if you have any questions.